Chrysalis — Annamieka: Artist. Let's Bring Your World to Life. 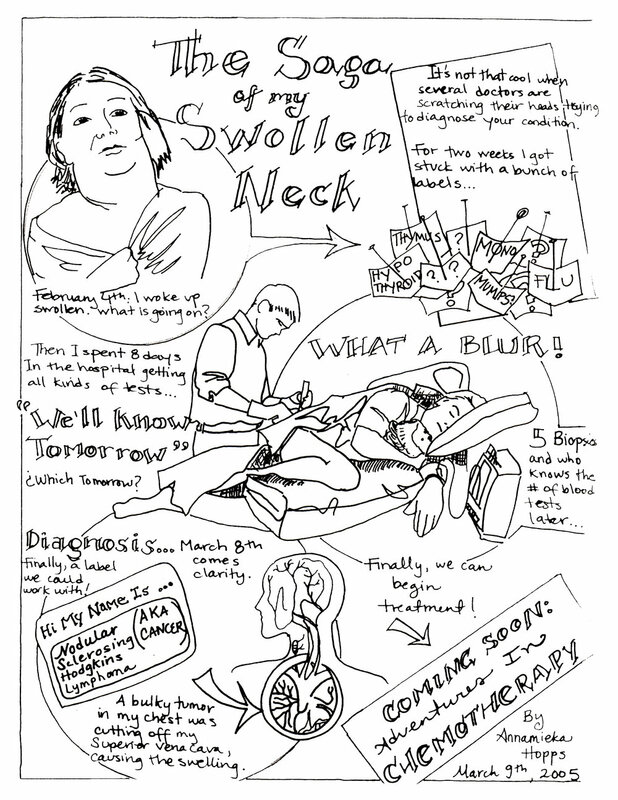 This series of illustrations began as a college art class assignment in 2005. 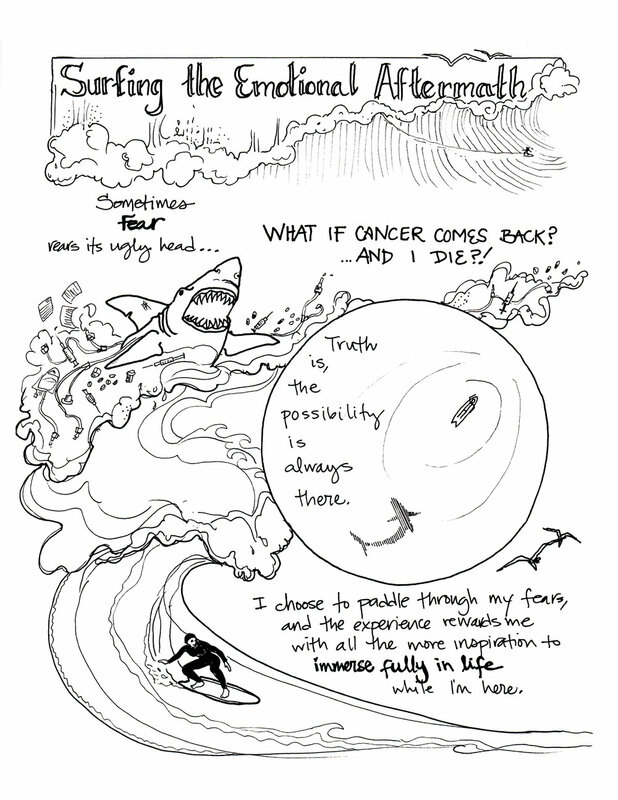 We were asked to illustrate a 1-page comic about a life experience. At the time I had just been diagnosed with cancer - a type of Hodgkin’s Lymphoma. 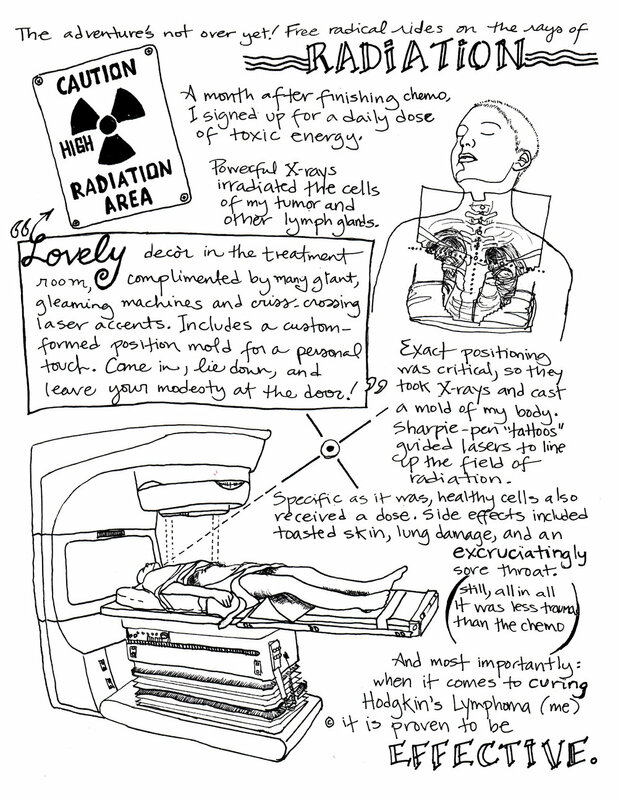 The format of the 1-page comic proved to be so effective to tell my story that I illustrated my whole experience in Chrysalis: Cancer & Healing Storybook. These drawings helped me express, move through, and heal many aspects of my challenging, sometimes really scary, yet ultimately growth-filled journey through cancer. Over the years, the story has become a community resource and taken on a life of its own. 1) You can buy a physical copy for $20. Shipping is included in the US. If you are outside of the US, I will invoice you for shipping separately after you place your order. 2) You can download a digital copy and donate any amount you choose with the big pink buttons below. 3) You can read it for free right here. You can also download a PDF copy of Chrysalis and save it or print it out and share it by clicking the download button below. The download copy is free! After you download, if you are moved to pay something for it, you can optionally pay any amount. Just click the big pink "Pay Any Amount You Choose" button below, you will be taken to a blank Paypal Checkout page - enter the amount that you wish to pay in the "Price Per Item" field and then click "Continue" to pay. After the payment is complete, click the button to return to my website (annamieka.com) and you will be directed to the download page. Thank you! I also have a limited number of printed copies of this book. If you'd like to purchase a printed copy, click below to place your order. In your printed copy, I'm happy to add a handwritten note specifically for you or a loved one diagnosed with cancer or another life threatening illness. Please specify what you want me to write in the note, and I'll personalize it before I ship it out. Yes, I want a printed copy of Chrysalis!